Operators providing service for RAB’s clients meet standards set forth by the European Aviation Safety Agency ( EASA). The consultancy, we organize and execute each project with the most economical, efficient and secure manner so as to enable the flexibility that only the imagination can limit. 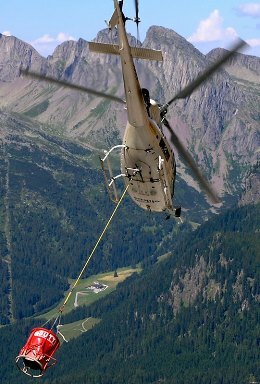 Aerial support for ski resorts and shelters. 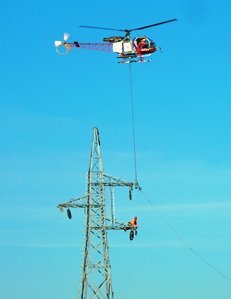 External Loads transport (materials and tools) and aerial installation-assembly, in inaccessible areas. Rock fall protection – landslides. Rock fall protection netting steel grid transport and installation. Oil & Gas, on & ofsshore. Transportation and aerial assembling rigs. Transport external loads (materials and tools) and placement in awkward areas. Computer Electronic Visual intensive inspection (CEV inspection). Telecoms transport - installation of pylons,transport and Installation of lattice masts & Appliances. 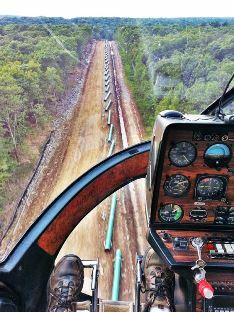 Inspection of the gas pipeline. Nature: Discover, Check and Transfer of rare species of plants, wildlife, birds, reptiles. Observation to road and railway traffic. Flights Research Tracking: people - vehicles - boats.